We all want our viewers to watch our entire video and to see something about us that stands out from the crowd, right? Something in the words that you use, or the concept that you illustrate just draws them in because you get them. If they’re not captivated right away, they’ll get distracted by something else (so many things to click!) … or just bounce. It could be completely unintentional … they actually wanted to watch your video … and maybe it’s still playing in the background, but they’re scrolling down the web page, already half-listening. Before you know it, they’ve got other tabs opened and your video just never got the attention it deserves. Let’s never let that happen to your videos, aiiiight? You wanna know one of the best formulas for banking on those first 3 seconds? Having a killer video headline. It might seem like an easy concept, but it’s actually a lot hard than it looks. Your power word needs to be strong, emotional, and theatrical. A word that instantly conjures emotions and imagery is the kind of word you want to be going for. I suggest grabbing a piece of paper and brainstorming at least 20 words that you want your audience to feel when they hear it. Your benefit must always be in the perspective of your viewer. Learning to do something is not a benefit. Let me say it again. Your viewers don’t want to learn. They want to shortcut, to have, to instantly know. See the difference? If you want to get really fancy, you can add a without which psychologically makes your viewer believe that s/he doesn’t need to do anything extra, and still get the benefits. Seems awesome, right? Wanna know more, right? Because it’s something we all want, but I’ve just a headline to encapsulate that grand idea, into something digestible. 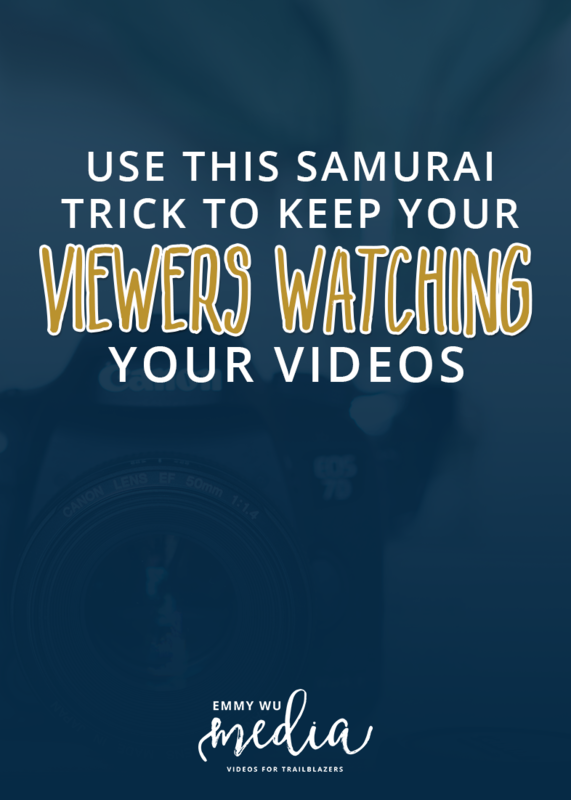 Keep this idea in your head all the time for your videos. Those first 3 seconds count. Big time. What a helpful tip! Have to try it! I’m going to go back to the script I’m writing and re-write it now!